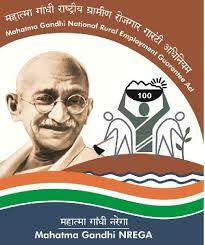 MGNREGA Dholpur Recruitment 2017 for Block & Gram Resource Person Posts: Mahatma Gandhi National Rural Employment Guarantee Act Dholpur District Rajasthan has Released Recruitment Notification for Block & Gram Resource Person - 296 vacancies. Interested for getting Block & Gram Resource Person Vacancies, May Apply on or before 25, 30-05-2017 hrs on wards. Qualified in Graduate for post no.1, 12th Class for post no.2 or it Equivalent from a University recognized. Candidates age limit is 21 to 65 Years as on 01-01-2017. Age relaxation is as per Govt rules. Candidates selection will be based on Merit Basis. Interested candidates can Apply Online Application forms by visiting the website “www.rdprd.gov.in” on or before 25, 30-05-2017 hrs on wards. Last Date for Applications: 25, 30-05-2017 Hrs. Relevant Addresses in MGNREGA Dholpur, Rajasthan.